As temperatures drop and leaves begin to fall, we’re looking to Robert Redford’s character Joseph Turner in Three Days of the Condor to inspire our autumn wardrobes. 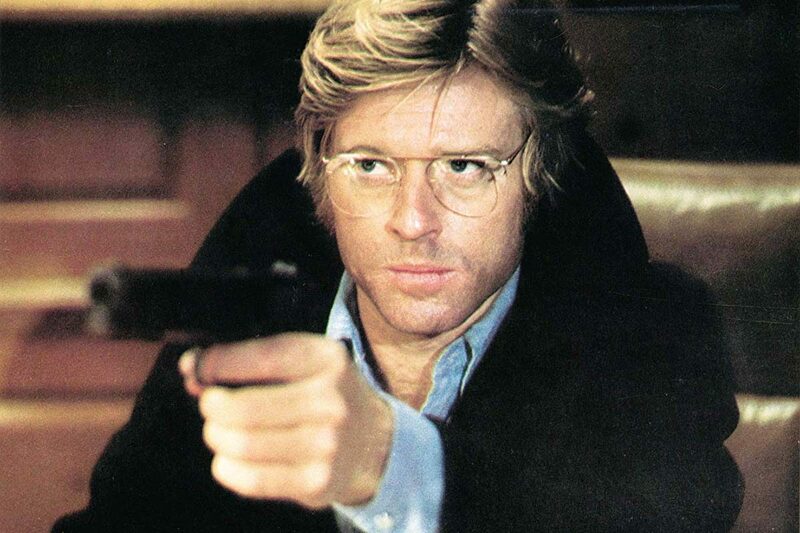 Robert Redford looking rakish as ever in his role as Joseph Turner in Three Days of the Condor (1975). Robert Redford’s illustrious career has seen him step into the role of many a stylish man, but as much as the likes of his iconic characters Jay Gatsby and the Sundance Kid serve to inspire, it’s his turn as CIA researcher Joseph Turner in Sydney Pollack’s 1975 Three Days of the Condor that’s providing us with sartorial stimulus this season. The cult political thriller sees Turner, an intellectual, bookish type codenamed ‘Condor’, forced from his quiet desk-bound job to an intense spell on the run after discovering that all of his co-workers have been murdered. As thrilling as the film’s events, Turner’s style is what keeps us hooked. Throughout the entire film, the foundation of his wardrobe is largely unchanging - a conservative, slightly Western-inspired pairing of blue jeans and chambray shirt that would form the basis of many a casual Friday look today. As he evolves from unimportant office worker to dangerous spy, his styling simultaneously undergoes a shift - albeit a subtle one - through the addition and removal of various layers and accessories. In the first half of the film, he exemplifies classic 70s Ivy League style, with a grey herringbone tweed blazer over a navy loose crew neck sweater. A thickly knotted wool tie, wide brown belt and gold-rimmed aviator glasses all contribute to his preppy appeal - he could easily be mistaken for an unassuming college professor. As the New York Times reported upon the film’s release, “Turner is not your stereotypical Central Intelligence Agency operative, the short‐haired, buttoned‐down kind we've seen testifying live on television from time to time. Turner's hair is fashionably long. He wears blue jeans and shirts and rides to work on a motorcycle. He's an eccentric link in the C.I.A. chain of command”. Eccentric he may be, but as his circumstances change, a newfound spy mentality and sense of seriousness bleeds into his wardrobe: he loses the tie, pops his coat collar and dons black leather gloves. Eventually, he ditches the tweed altogether in favour of a navy pea coat (which he steals from the boyfriend of his hostage, no less). With his tousled hair and underdog nonchalance, he is a symbol of East Coast cool, whose sartorial prowess endures in our collective style subconscious over 40 years on. To channel a similar aesthetic to Turner this autumn, simplicity is key. We’ll be looking to labels renowned for their luxury fabrics and understated, functional designs, such as British brands Sunspel, Emma Willis and Private White V.C. Such versatile attire will no doubt equip us with the confidence required to tackle whatever unexpected challenges we may encounter throughout our day - whether or not this happens to involve the same extent of excitement that Turner experiences is a different matter altogether.